January 28: 5 POWER Lessons From 5 Leaders Who Made History On This DAY! Life never waits for anyone; you never get to live the same moment twice. It obviously is important to do your best every single moment in life, which certainly needs motivation every now and then. Use the 5 POWER Lessons below and help yourself stay motivated to be able to move ahead and become the best of what you can be! Sometimes called the Apostle of the Cuban Revolution, José Martí was a poet and an essayist, patriot and martyr, who became the symbol of Cuba’s struggle for independence from Spain. His dedication to the goal of Cuban freedom made his name a synonym for liberty throughout Latin America. 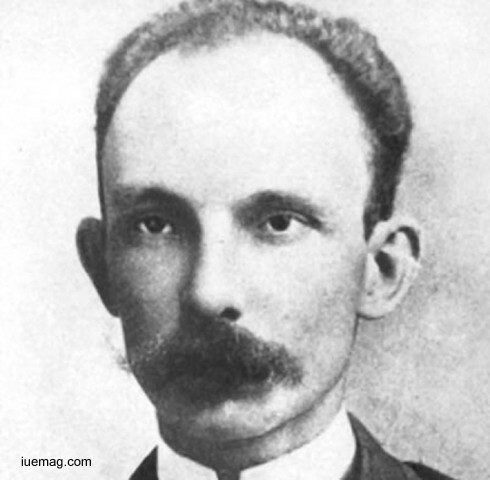 As a patriot, Martí organized and unified the movement for Cuban independence. 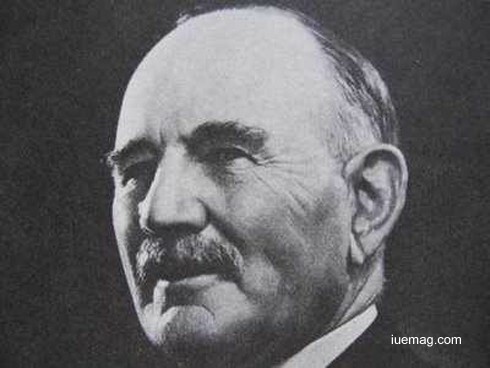 Educated first in Havana, Martí had published several poems by the age of 15, and at age 16 he founded a newspaper, La Patria Libre (“The Free Fatherland”). During a revolutionary uprising that broke out in Cuba in 1868, he sympathized with the patriots, for which he was sentenced to six months of hard labour and, in 1871, deported to Spain. There he continued his education and his writing, receiving both an M.A. and a degree in law from the University of Zaragoza in 1874 and publishing political essays. He spent the next few years in France, in Mexico, and in Guatemala, writing and teaching, and returned to Cuba in 1878. His writing works of poems, essays letters and novels were his attempt to spread his message for Cuba’s independence. His essay titled “Our America” mirrors his opinion about the establishment of separate government of Latin American countries based on their cultures and needs. As an important figure of the Spanish American literary movement, issues like liberty and democracy played dominant role in most of his writing works. This prominent personality of Cuba’s struggle for independence lost his life in the battle against Spanish troops. 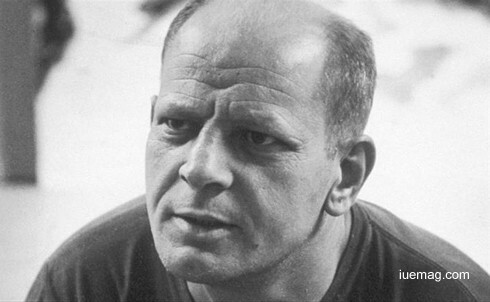 Famous 20th century artist Jackson Pollock revolutionized the world of modern art with his unique abstract painting techniques and is often regarded as one of the pioneers of modern art. When Pollock was 8, his father, who was an abusive alcoholic, left the family, and it was Pollock's older brother who took care of him. Pollock was expelled twice before abandoning school for his creative pursuits. In 1930, at age 18, Pollock moved to New York City to live with his brother. He soon began studying with Charles's art teacher, representational regionalist painter Thomas Hart Benton, at the Art Students League. He got trained by American painter Thomas Hart Benton, who influenced his painting. His painting was also influenced by many other artists, but the creativity and innovation which he mustered was unique in all respects. He broke away from all traditional forms of painting and employed his own techniques which have retained an exclusive position in the world of art even today. He is known for his paintings which he made by pouring colours on the canvas, and this style is known as the drip painting. He did not follow specific mode of painting and neither did he use any particular tool for painting. Moreover, he placed the canvas on the floor and painted it from all directions. His images were graphic and abstract, and this made him a significant figure in the ‘abstract expressionist’ movement. Jackson Pollock’s paintings continue to enrich and amuse people till date. 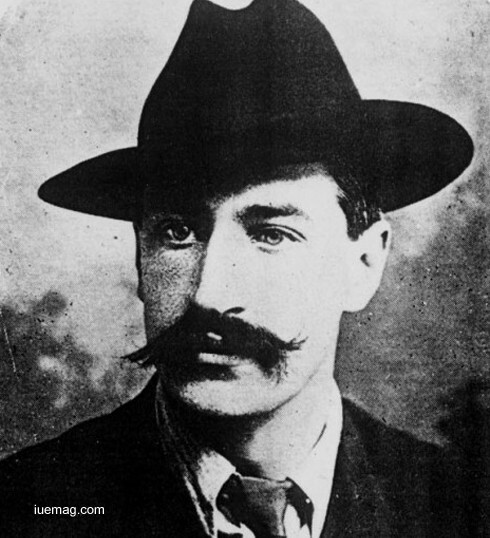 James Larkin was an Irish trade union leader and socialist activist who founded the Irish Transport and General Workers' Union. Born in Liverpool, England, he grew up in the slums of Liverpool and had very little formal education. To supplement the family income, he worked a variety of jobs in his youth, eventually becoming a foreman at the Liverpool docks. A committed socialist who believed workers were treated unfairly, James Larkin joined the National Union of Dock Labourers (NUDL) and become a full-time trade union organizer in 1905. His militant strike methods alarmed the NUDL, and he was transferred to Dublin in 1907 where he founded the Irish Transport and General Workers' Union. The goal of the union was to combine all Irish industrial workers, skilled and unskilled, into one organization. Larkin later formed the Irish Labour Party and was responsible for leading a series of strikes. Most significant of these was the 1913 Dublin Lockout where more than 100,000 workers went on strike for nearly eight months, eventually winning the right to fair employment. At the outbreak of World War I, James Larkin staged large anti-war demonstrations in Dublin. He also traveled to the United States to raise funds to fight the British. He was later convicted of criminal anarchy and communism, then pardoned three years later and deported to Ireland, where he organized the Workers' Union of Ireland. Perhaps best known for his role in the 1913 Dublin Lockout, “Big Jim” continues to occupy a significant place in Dublin's collective memory. Charles Williams Nash was an American automobile entrepreneur who served as an executive in the automotive industry. He played a major role in building the General Motors. Nash was born to a poor farming family in Cortland, Illinois. After Charles' parent's separation, at age 6, Charles worked as a farm-hand in Michigan as an indentured servant under an agreement that was to last until he was 21. At age 12, he ran away and became a farm hand. In 1890, he was hired by William C. Durant of the Flint Road Cart Company. Durant hired him as an upholstery stuffer and within six months, he was promoted to superintendent of the factory. Soon, he was promoted as the vice president and general manager. He later became the president of General Motors. During the 3+ years that Nash was the president, General Motors saw a dramatic increase in profits. In fact, from 1914 to 1916 annual profits doubled each year and production had increased much more. However, his reluctance to pay dividends to shareholders resulted in Nash being forced out of his GM position. Nash then bought the Jeffery Motor Company and renamed it as Nash Motors. The 1917 Nash Model 671 was the first vehicle produced to bear the name of the new company's founder. In a short space of nine years, he built a business on which there was not a dollar of bonded indebtedness, whose stocks rose to a market value approximating $137,000,000, whose profits exceeded $56,000,000, and whose bank balance rose to $30,000,000, surely must be regarded as a very practical authority on what makes for success. Popularly known as Punjab Kesari or the Lion of Punjab, Lala Lajpat Rai was one of the greatest leaders of India, who actively took part in the Indian fight for independence from the British rule. Blessed with exceptional organizing abilities and oratorical skills, he instigated in Indian youth the seed for Indian Independence. 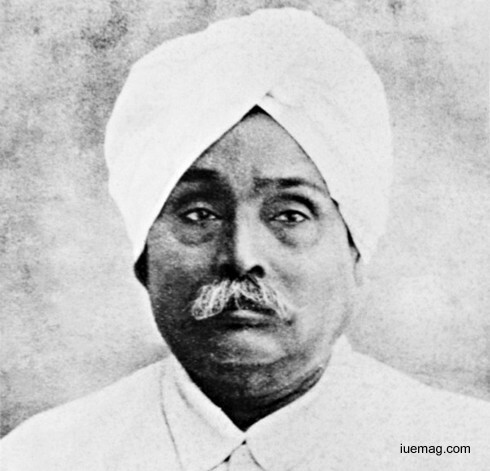 An ardent nationalist and a dedicated social reformer whose achievements earned him the title of "The Lion of Punjab" (Sher-e-Punjab), Lala Lajpat Rai was born in Ludhiana in 1865. Though he equipped himself for a career in law, he was drawn into the political cause when residing at Lahore. After a disappointing trip to England in 1905 along with Gokhale, his message to his countrymen was that they themselves and no one else would fight for their freedom. He withdrew his name from the list for the presiden­cy of the Congress at its Surat session. He visited Britain in 1914 and the USA as well to educate the international public about India's cause. He made a lasting impression in the minds of his countrymen not only by his leadership abilities, but made his presence felt in the fields of education, commerce and healthcare. He initiated the establishment of a bank which later evolved as the ‘Punjab National Bank’. He sustained serious injuries by the police when leading a non-violent protest against the Simon Commission and died less than three weeks later. His death anniversary (17 November) is one of several days celebrated as Martyrs' Day in India. Any facts, figures or references stated here are made by the author & don't reflect the endorsement of iU at all times unless otherwise drafted by official staff at iU. This article was first published here on 28th January 2017.